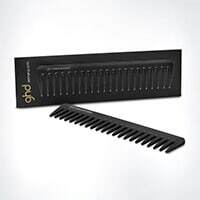 I lost my original comb and because I love it so much I immediately ordered another one. I have really thick hair and it glides through with ease. 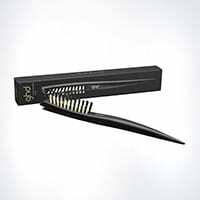 This is the perfect comb to use after curling your hair without making your hair go frizzy. I personally havent used it as a detangling comb on wet hair so cant comment on that. Even though I thought the brush would be a little bit smaller, I do like it. It's hard work to use as it grips quite well so it took a bit to get used to but the results are brilliant. It makes my hair really nice and smooth and gives it a salon look. 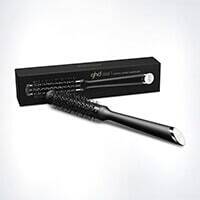 I might buy a smaller one too just to see the difference and to see if it will give my hair more curl. give my hair a natural valume and it's easy to use! Borrowed my mate's one of these, tried to by a cheaper version. False economy: had to buy this one as well. This is easily the best brush I've ever used for drying my hair. The shape it gets at the ease and speed it works is just incredible. I honestly believe this is a great company who do put their customers first. I have short hair that can't just be left. It needs fairly intricate styling every day. This brush saves me time and makes me look better than other brushes. I unequivocally endorse this brush. 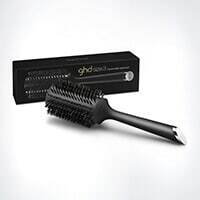 I am delighted with this brush, I have fine hair and it is the first brush that holds the hair while I dry it. Also because of a neck problem I have my hands are numb but are able to hold this brush quite easily. The service was also very efficient and speedy. 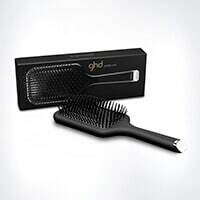 I purchased this brush after it was recommended by my hairdresser to blow dry my very thick, wavy jaw-length bob into being nice and straight. 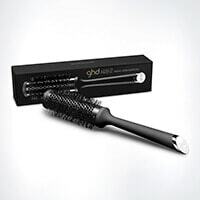 It worked a treat and I noticed a reduced blow-drying time compared to my old brush. Seams to do a great job on my hair.